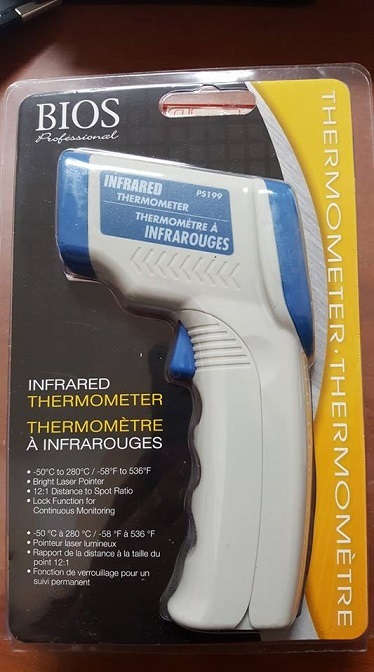 INFRARED THERMOMETER, BIOS PROFESSIONAL. -50°C to 280°C / -58°F to 536°F. Bright laser pointer. User friendly. Reads surface temperatures in less than a second. Lock function for continuous monitoring. Distance to spot ratio 12:1. Emissivity: 0:95 fixed Resolution. LED light. 9 Volt battery. 1 year manufacturer warranty.